Designed for the demands of large scale operators. At the top end of the Titan range are the 15 and 17 cubic metre models. Extend capacity easily up to 20m3 with steel greedy boards. A high specification ensures that the specific demands of large scale operators are fulfilled, and critical compliance to European Homologation Standards is also met. The latest variable rate technology for precision farming, linking GPS and weigh cells, enables you to set and monitor spread rates on the move. Available as factory fit or retro-fit, your choice. 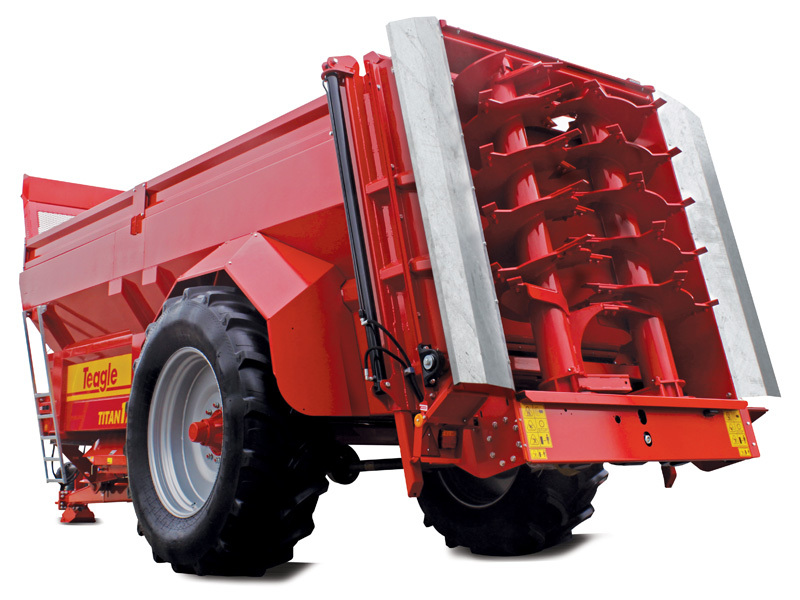 Large diameter beaters generate a high tip speed to ensure a fine shredding action is achieved. 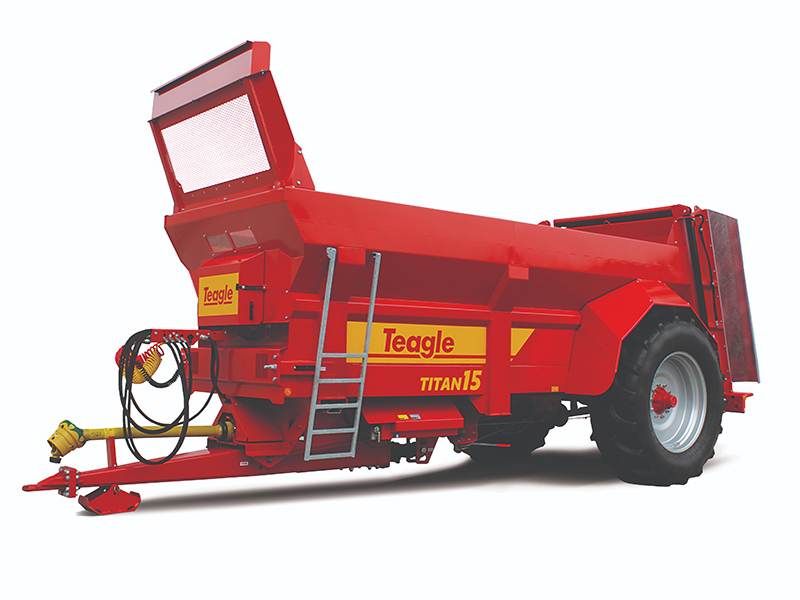 A stepless auger with a shallow pitch ensures that material is well mixed and shredded before it is thrown from the machine. The latest variable rate technology for precision farming, linking GPS and weigh cells, enables you to set and monitor spread rates on the move.